For all the promises of customization, Google is mostly concerned with providing Android users the necessary tools and then raising their hands up so that anyone and everyone can do (almost) whatever they want on their Android devices. A feature that has been strangely missing from the mobile OS is the ability to display a message to the lock screen, a simple little thing that would have undoubtedly appealed to users who installed similar apps via the Play Store. 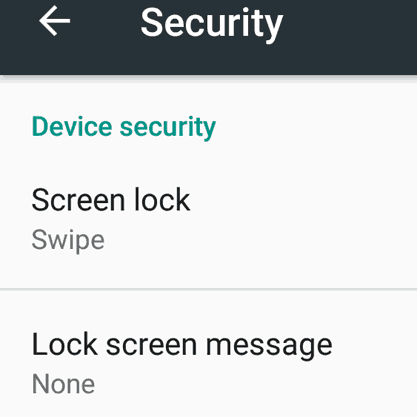 In Android 6.0+ Marshmallow, Google has finally given us the option of adding a message to the lock screen albeit in the most basic form possible as the feature is supposed to be an extra security measure. For instance, you could display contact information for when the phone gets lost. The only requirement you need to fulfill in order to gain access to this feature is having Marshmallow installed in your device as it is built directly into the OS’s security settings. 1. Open the Settings in your Android smartphone or tablet. 2. Find the Security menu and tap on it. 3. In this menu you will see an option that reads “Lock screen message” which should be blank by default. Tap on it to continue. 4. Enter your desired message on the text field and tap on the Save button. 5. The lock screen message setting should now display the text you typed before. Lock your phone and the message should be displayed directly underneath the date.